All Systems are operating within expected parameters. Temperature, avionics, solar arrays and battery power all remain positive. All of our initial orbits have had direct sunlight, which has helped in charging the main battery to maximum capacity. Pressure onboard the spacecraft has remained constant at 7.5 pounds per square inch (PSI). We have had multiple contacts with the ship, and received several data streams. While most of these current communication streams are dedicated to command and control of the spacecraft, we have downloaded several small images from the onboard cameras and hope to get more as more bandwidth in the data stream becomes available. An unmanned, inflatable spacecraft launched by a Las Vegas real estate mogul has beamed back the first images since it slipped into orbit and expanded itself. Genesis I sent back several photos Thursday taken by its dozen cameras showing sections of the craft, according to its builder Bigelow Aerospace. The company declined to publicly release the images. The experimental spacecraft rocketed into space Wednesday from Russia on a mission to test technology that could be used to build an inflatable commercial space station. Genesis I was healthy with functional onboard computers, solar panels, battery power and pressure systems, said company founder Robert Bigelow. "All systems are operating," Bigelow said in a brief statement posted on his Web site. 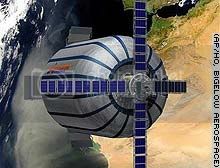 Bigelow, owner of the Budget Suites of America hotel chain, has lofty dreams of building an expandable orbital outpost by 2015 to be made up of several Genesis-like satellites tied together. He has promised to invest $500 million to build a space habitat that could be used as a space hotel, science lab or sports arena. 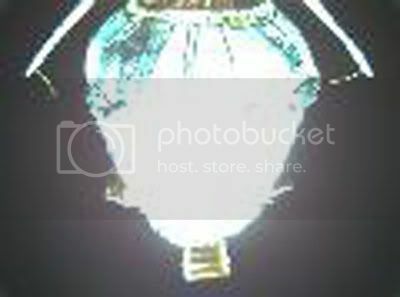 We have extracted from early quick look data a low resolution thumbnail image of the Genesis I vehicle which verifies the success of vehicle inflation and solar array deployment. At this point in time, the vehicle is happy and healthy. I would like to see more of the images. A privately funded inflatable satellite that rocketed into orbit last week carried a NASA experiment that will study how weightlessness affects genes, the space agency said Monday. The Genesis I spacecraft, bankrolled by Las Vegas hotel tycoon Robert Bigelow, launched from Russia last Wednesday and successfully expanded in orbit about 340 miles above Earth. The goal of the five-year mission was to test inflatable technology that could some day be used to construct an expandable commercial space station. The experimental craft carried a shoebox-sized payload from the NASA Ames Research Center in Northern California. The mini-lab equipped with sensors and other high-tech systems will carry out experiments to analyze how weightlessness affects cells and small animals. Scientists hope the project will open doors for future, low-cost research investigating how weightlessness affects the immune system and bone and muscle loss. NASA's decision to send a payload aboard a Bigelow spacecraft is part of a new trend of an emerging public-private space partnership, said John Hines, who heads the NASA gene project. Genesis I was the first launch for Bigelow Aerospace, founded by Bigelow, who owns the Budget Suite of America hotel chain. The company plans to launch another satellite this year with the goal of building a working space habitat by 2015. Last week, Genesis I beamed back the first low-resolution images from its dozen cameras, including a self-portrait of the spacecraft fully inflated. Bigelow has spent about $75 million on the project so far and has pledged to invest $500 million by 2015. Are the strings to tight at NASA, that they needed a Russian booster to lift this inflable craft with a NASA experiment on it?